The long wait is over! Crew Manager beta testing wrapped up during the fall of 2018. Results were positive with a few more features to add and some minor bugs to kill. The Crew Manager software was updated to support the WordPress Multisite environment. What does this mean for you? It means that your boat custom website based on Crew Manager is available to anyone. Site setup turnaround in one day. Here is what’s available. 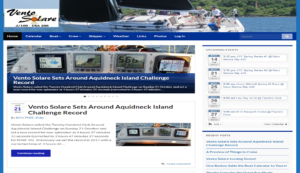 Standard Crew Manager websites available for your boat as a monthly or annual subscription . You get your custom website address similar to http://boatname.crew-mgr.com – if the boatname isn’t already taken, you can use it. Lower case letters, numbers may be used. The boat schedule is immediately ready to load into the calendar. This may be typed in directly, or a one-time import from another calendar via the All-in-One-Event Calendar (AI1EC) website. AI1EC offers reasonable fees if you want to import additional calendars in the future. Those familiar with WordPress may easily tailor the site look and feel. Additional pages may be added and populated with whatever content is desired. Details on pricing and the online order process are available on the Crew Manager Shop by mousing over Subscribe and clicking on New Website. The cost is equivalent to about a case of beer for one-time setup and a few beers per month!